Apple today said that it was updating its thin and light MacBook Air notebook lineup and is bringing Intel’s 4th-generation Core processors to the 11.6 inch and 13.3 inch models. Apple says that this would boost the graphics of the laptop to go up by as much as 40 percent and proves twice as much battery life as well. The new 11.6 inch MacBook Air will get up to 9 hours of battery life, which is a big jump from the 5 hours you got from earlier versions while the new 13.3 inch model jumps from 7 hours of run time to 12 hours – that means it lasts all day! Intel’s new “Haswell” chips are responsible for much of that change. Intel’s latest chips use less power than earlier processors, while offering more powerful graphics and CPU performance. 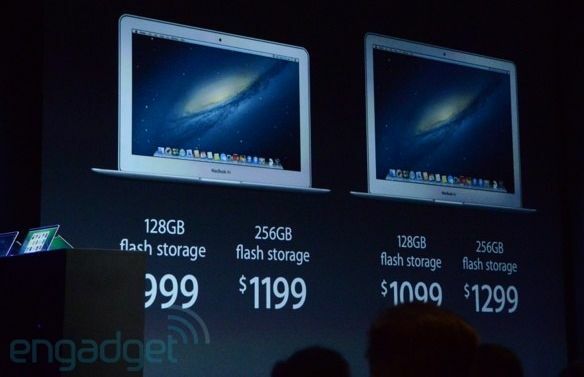 Apple is also added 802.11ac WiFi to its new MacBook Air models. 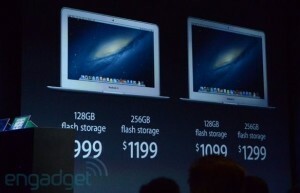 The price of the 11.6 inch with 128GB storage is for $999 and 13.3 inch is 1099$ which still are expensive. Previous CHINA BEATS USA IN SMARTPHONE MARKET!